Some dog breeds can swim, but sadly there are still thousands that drown in pools every year. Have you thought about dog pool safety when it comes to your backyard oasis? We feel that investing in pet pool safety is a worthy expenditure to protect your beloved pet. 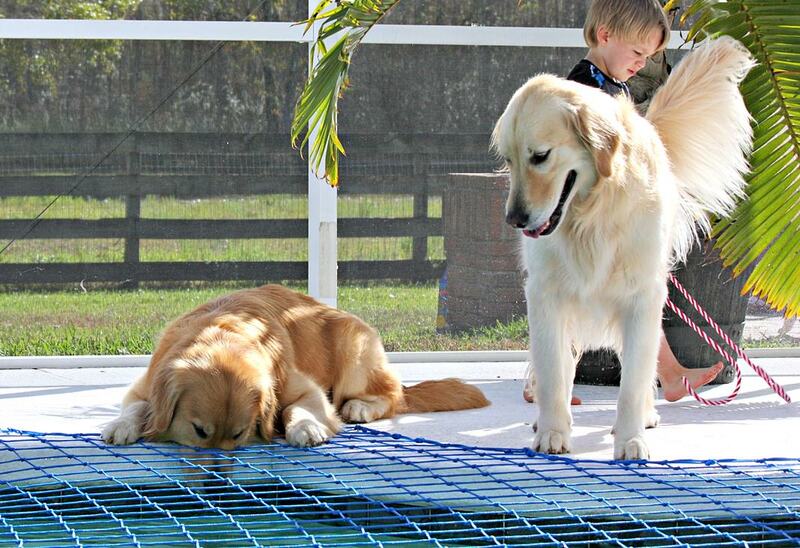 One of the many options available to keep your dog out of the pool is a pool safety net. Our customers use their Katchakid pool safety nets for peace of mind; perhaps an older dog going blind, a new puppy, or dogs they don’t want to leave in the yard alone with an open pool. Blocking your pets from the pool also helps keep it in tip-top shape preventing pet hair buildup, scratches from nails, and other damage to the pool lining or plaster. 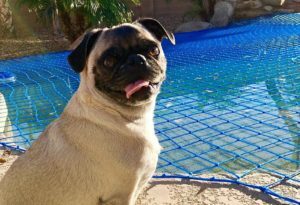 The mesh squares of a katchakid pool safety net are 3.75-inches square, so if you have a puppy of a smaller dog breed, a pool safety fence may be the best solution. However, Installing a pet safety net could be a viable choice if you have a larger breed of dog. 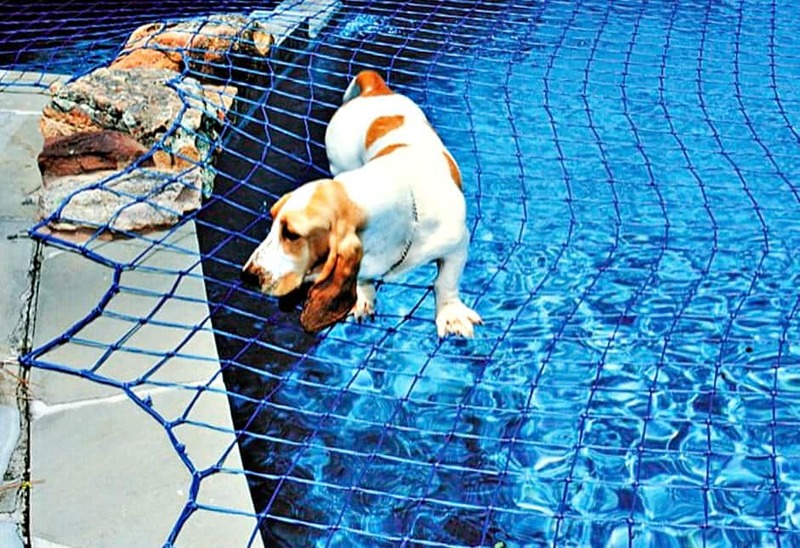 There are no reported occurrences of dog injury from tangling up in a Katchakid pool net. Our pool nets will hold at least 485 pounds of weight, so a bigger, nimble dog could easily cross over the net in a few seconds. For best dog pool safety – keep toys away from the pool. When a dog chews through a pool net, it’s often along the path of the pool’s water flow. If a toy falls into the water, they’re likely to do all that they can to get to it, including damaging your net. Try to watch out for and prevent chewing of the pool net. If you see that your dog is chewing on the net, consider purchasing bitter apple spray or citronella from a pet store to curb their munching. Minor animal damage to a pool net is repairable by using netting braid to make new mesh squares or by scheduling a service call with your local Katchakid office. Animal damage is not covered under warranty. Check out our Team Katchakid photo gallery for more images of pets and children being kept safe from the dangers of unsupervised pool time.